Whoever entered Betty Blocks headquarters, The Hub, last week could feel the fighting spirit in the air. Everyone was on edge. 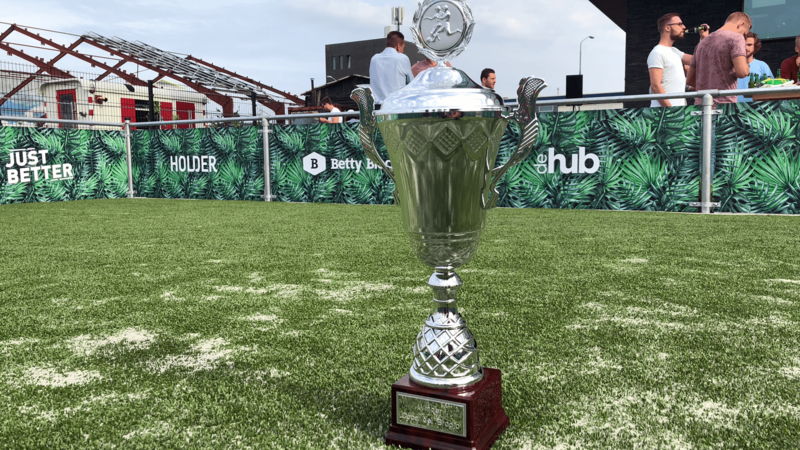 With a healthy dose of competitiveness, Betty Blocks and sister companies Woeler and Holder (collectively known as the Brodjo companies) went to battle with each other in a 3-on-3 El Copa del Brodjo football tournament (that’s soccer, for our American friends). The occasion? 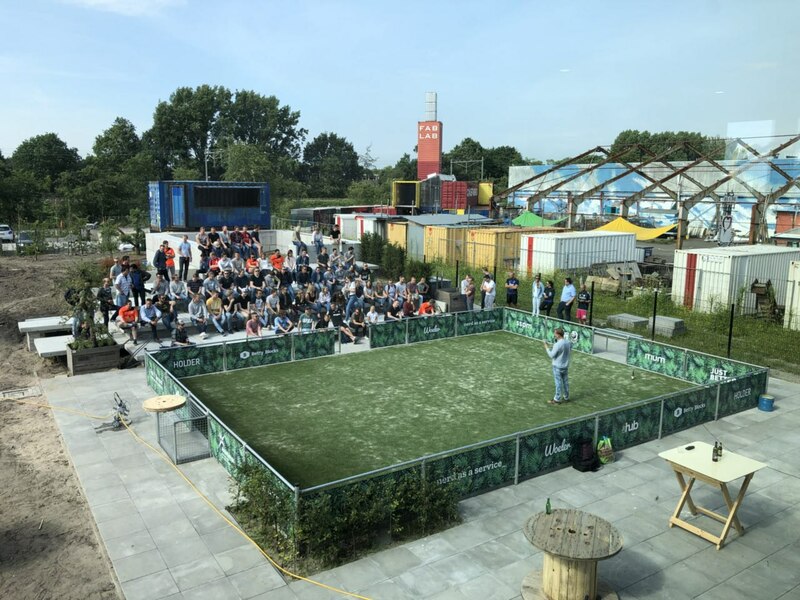 Celebrating the official opening of The Hub’s garden and personal football field. The prize? A neat trophy and some serious bragging rights. But is there always so much tension between the Brodjo companies? Not at all, normally camaraderie is paramount. 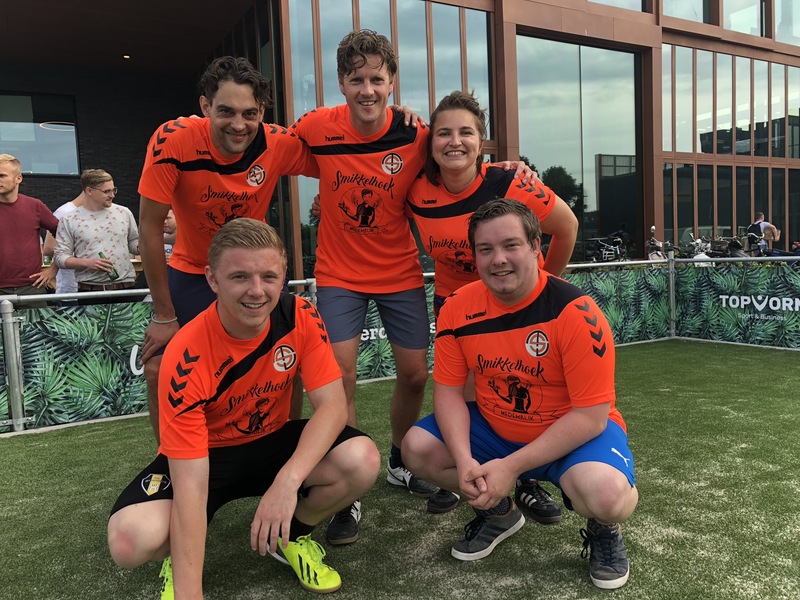 However, this quarter we celebrate one of our company culture core values, the Champions League spirit (we have also been playing 'Who is The Hub Mole?' for a month now, and nobody trusts each other anymore). 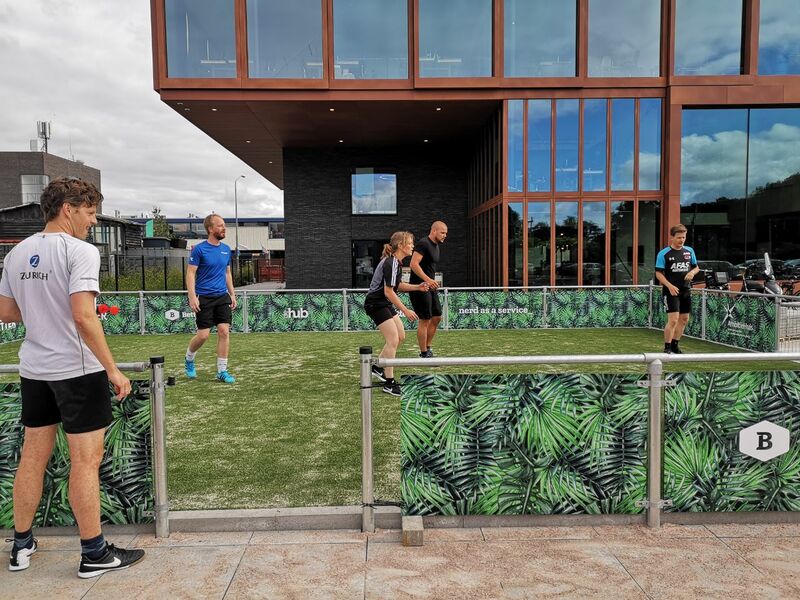 Eight carefully selected teams trained for months (or the 5 minutes before their appointed time slot...) to secure victory. There was blood. There was sweat. There were tears. Some all-star players played two consecutive matches without difficulty. Others were out of breath after running up and down the field twice. If you come across one of these champs, give them a high five. At the office, in the elevator, in the supermarket, in bed, it does not matter-- Give them a high five and yell "Champ!" to finish it off. They will like it. Check out a video recap of the highlights and join us next year for round 2, sports fans. Subscribe to our newsletter below for more on the latest shenanigans from The Hub!